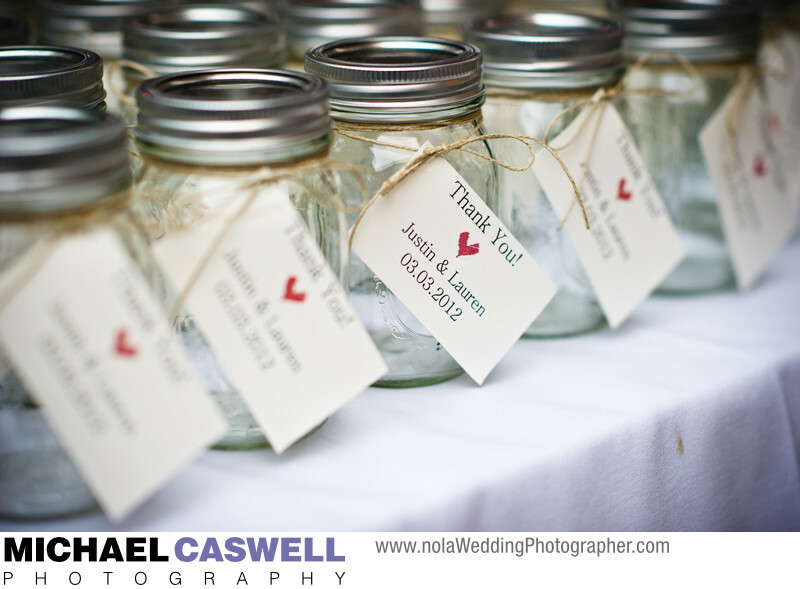 Mason jars were a central element of this rustic themed wedding at Palmettos on the Bayou in Slidell, Louisiana. They were used for drinks, candles, and table centerpiece flowers. The couple even put out a huge display of them as wedding favors for their guests to take home! This all fit perfectly with the lush and rural appearance of Palmettos' deck area and waterfront location.